The Department of Defense has taken notice of China’s activities in the Pacific Ocean. In a speech delivered in Australia, U.S. Pacific Fleet Commander Adm. Harry Harris said that China is busy building a “great wall of sand” as it works on seizing disputed waters in the South China Sea. 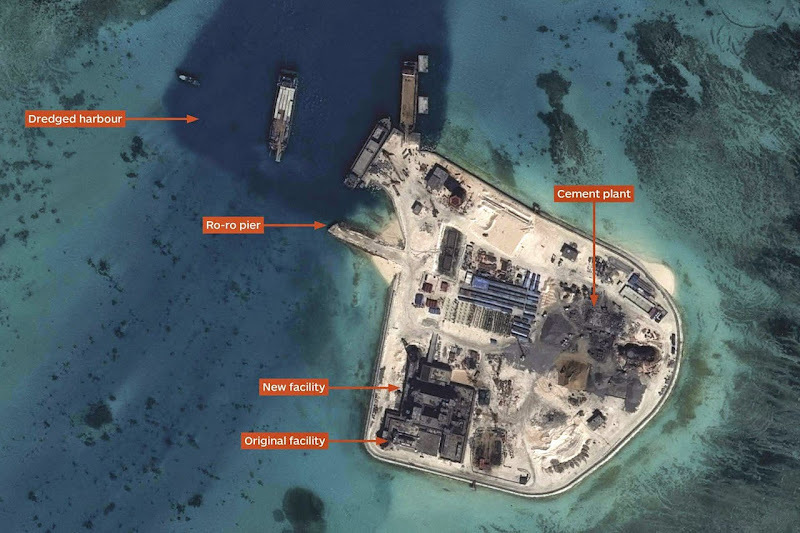 Said the top official, “China is building artificial land by pumping sand onto live coral reefs — some of them submerged — and paving over them with concrete,” Harris said. “China has now created over 4 square kilometers [1.5 square miles] of artificial landmass,” he added. Effectively, China is adding to increased tensions in the entire region. By claiming the entire South China Sea, Beijing is putting itself at odds with other nations’ territorial claims in the same waters. 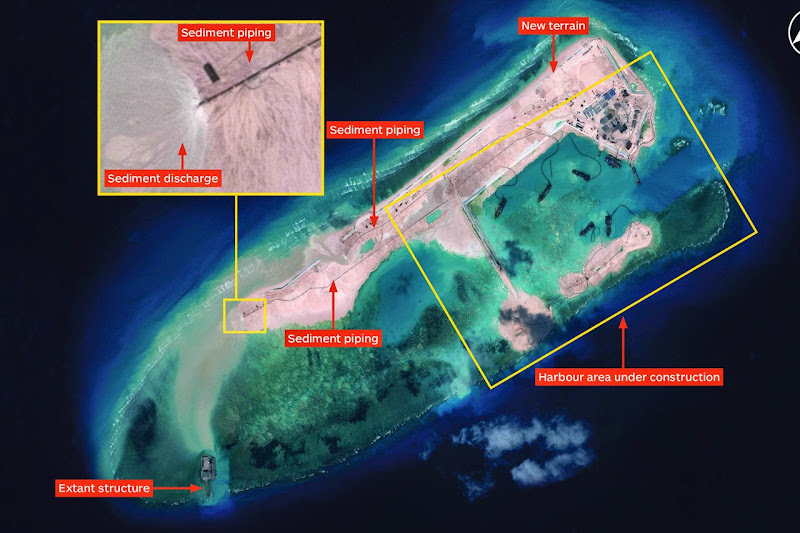 China is currently conducting its island-creation program in the disputed Spratly and Paracel Islands, as well as areas claimed by the Brunei, Malaysia, Philippines, Taiwan, and Vietnam. Harris said that China’s campaign can augur confrontation in the region. President Barack Obama famously heralded at the beginning of his term in office what he called a "pivot" by the U.S. toward Asia. Obama, speaking in Australia in November 2014, said that China must “adhere to the same rules as other nations.” He recently visited India as part of his interest in Asia. Consonant with Obama’s warnings, India and Singapore joined the U.S. in issuing joint statements condemning China’s dredging and land reclamation project. Singapore called on “all parties to exercise self-restraint in the conduct of activities, including land reclamation, in the South China Sea.” Singapore called on other nations to rely on diplomacy, in keeping with the UN Convention of the Law of the Sea (Unclos). India issued a similar statement. China, however, holds itself apart from the Unclos demarcation of the respective areas claimed. China resorts to historical maps to back its territorial ambitions. 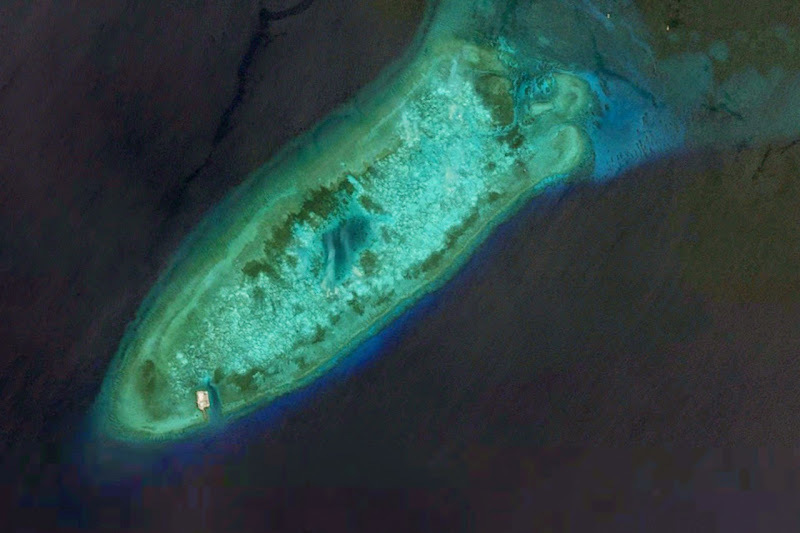 The Philippines has filed a complaint over the Spratly Islands with the U.N. Court of Arbitration, but China has refused to take the case. For its part, Vietnam has also disputed Chinese oil drilling in the Paracel Islands. “When one looks at China's pattern of provocative actions towards smaller claimant states – the lack of clarity on its sweeping nine-dash line claim that is inconsistent with international law and the deep asymmetry between China’s capabilities and those of its smaller neighbors – well it’s no surprise that the scope and pace of building man-made islands raise serious questions about Chinese intentions,” Harris said. In the scenario recounted by Scharre, the U.S. aircraft simply depleted their missiles while China’s aircraft could go after vulnerable command and control and tanker aircraft. Despite the demonstrated superiority of U.S. aircraft, the Chinese through sheer numbers were victorious. John Tkacik, a former U.S. diplomat who has studied China for decades, told the Washington Free Beacon in February 2015, China's claims to the South China have been voiced ever since the communist take-over in the early 1950s. He pointed out that China invaded islands in the South China Sea in 1974 and have continued. 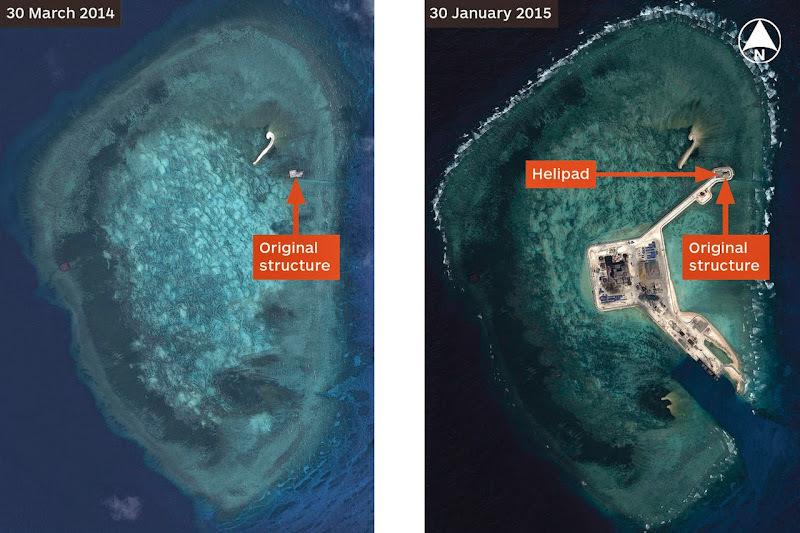 “Over the past 15 years, the Chinese have embarked on this new strategy of massive construction on what had been submerged landforms, and are now in a position to both enforce their claims, not just to the islets themselves.